The war has unleashed the world's most urgent humanitarian crisis in the nation of 28 million, where 8.4 million people are believed to be on the verge of starvation and 22 million people are dependent on aid. 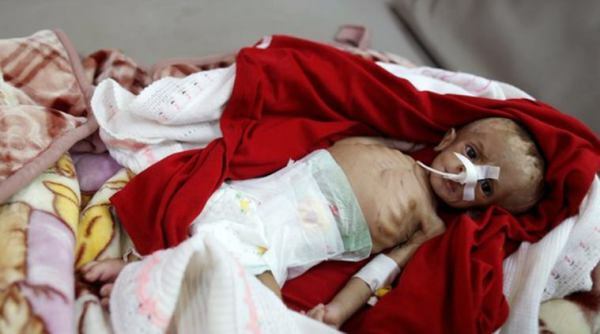 Sanaa: In the malnutrition ward of a hospital in the Yemeni capital Sanaa, doctors weigh toddlers with protruding rib cages and skeletal limbs. 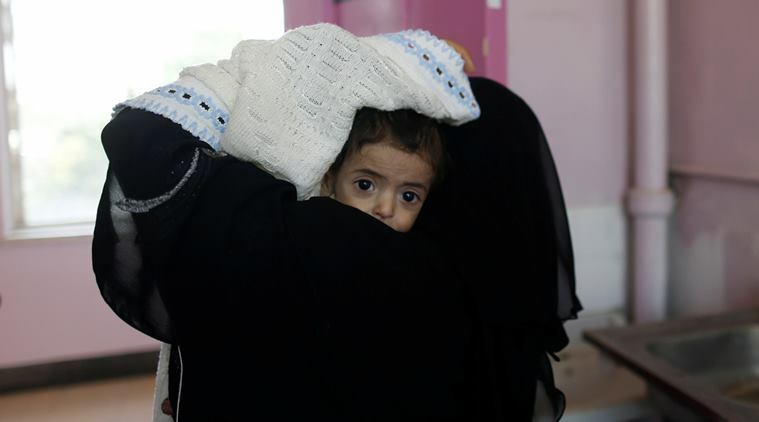 Twenty children, most under the age of two, being treated at the ward in Sab’een Hospital are among hundreds of thousands of children suffering from severe malnutrition in the impoverished country that has been ravaged by a more than three years of war. “The conflict has made Yemen a living hell for its children,” Meritxell Relano, UNICEF Representative in Yemen, told Reuters. She said more than 11 million children, or about 80 per cent of the country’s population under the age of 18, were facing the threat of food shortages, disease, displacement and acute lack of access to basic social services. A coalition of Sunni Muslim Arab states, led by Saudi Arabia and the United Arab Emirates, intervened in Yemen’s war in 2015 against the Iranian-aligned Houthis after they drove the internationally recognised government out of the capital Sanaa. The war has unleashed the world’s most urgent humanitarian crisis in the nation of 28 million, where 8.4 million people are believed to be on the verge of starvation and 22 million people are dependent on aid. The coalition has imposed stringent measures on imports into Yemen to prevent the Houthis from smuggling weapons but the checks have slowed the flow of commercial goods and vital aid into the country. Saudi Arabia and the UAE say they are providing funds and supplies to support aid efforts in Yemen. The Houthis blame the coalition for choking off imports into the country. In Sab’een hospital a toddler in diapers lay wrapped in blankets with a tube inserted in the child’s nose. Another child cried while being lowered naked unto a scale to be weighed. The families of the children declined to speak to the media. “The situation of the families without jobs, without income and in the middle of the war, is catastrophic,” Relano said. She said UNICEF had provided more than 244,000 severely malnourished children under the age of five with therapeutic treatment since the beginning of 2018, in addition to micronutrient treatment to over 317,000 children under five. “The human cost and the humanitarian impact of this conflict is unjustifiable,” U.N. humanitarian coordinator Lise Grande said in a statement on Thursday.